This interactive workshop focuses on realizing cutting-edge neurotechnologies that have the potential to enhance the human condition. In the morning session, a mixture of panel and breakout discussions will focus on sensing technologies: what advancements have been achieved in recent years? What are the critical gaps that would enable a rapid leap forward in capabilities? What is the role of academia, industry, and government in addressing these critical gaps? What standards need to be addressed or created to make technologies accessible to the community? In the afternoon session, we will focus on how next-generation neurotechnologies will change the nature of how humans interact with the world: how will these technologies change the way human decisions are made? What is the role of AI in the application of neurotechnologies? How will they influence the interaction between people and/or AI systems? To ground the discussion, we will take inspiration from science fiction characters and technology. The workshop will use specific sci-fi capabilities and archetypal characters to frame the debate about how near we are to achieving these aspirational goals. In breakout groups, we will discuss how past successes and failures have informed our current research objectives and methodologies. We will also discuss and articulate predictions on how research in this area will proceed in the coming decade, and what courses of action might be appropriate for academia, industry, and government. The workshop will include background material on the sci-fi references so no previous knowledge is needed. Paul Sajda (Fellow, IEEE) is a Professor in the Departments of Biomedical Engineering, Electrical Engineering, and Radiology and Director of the Laboratory for Intelligent Imaging and Neural Computing, Columbia University, New York, NY. Much of his current research focuses on using multimodal neuroimaging and behavioral measures to track selective attention and the dynamics of cognitive state during rapid decision making. He also applies these basic scientific findings to engineer neurotechnology systems that improve human–machine interaction. Prof. Sajda is the Editor-in-Chief of the IEEE Transactions on Neural Systems and Rehabilitation and Chair of the IEEE BRAIN Initiative. Dr. Jonathan (Jon) Touryan is a neuroscientist at the U.S. Army Research Laboratory’s (ARL) Human Research and Engineering Directorate. He joined ARL from SAIC (now Leidos) in 2012 where he managed the company’s neuroimaging facility and lead research efforts in the human neurosciences for various defense agencies, including DARPA, ARL, and AFRL. His prior research explored the neural correlates of performance in real-world tasks such as driving. Currently, his work focuses on the use of eye tracking and EEG to elucidate the endogenous and exogenous sources of variability in visual search. For the last five years, he has lead the Cognition and Neuroergonomics (CaN) Collaborative Technology Alliance (CTA), ARL’s extramural program in the neurosciences. Dr. Amy Kruse is the Chief Scientific Officer of the Platypus Institute, an applied neuroscience research organization that translates cutting-edge neuroscience discoveries into practical tools and programs which enhance the human experience. Dr. Kruse’s primary focus at the Platypus Institute is a project entitled “Human 2.0” – a multi-faceted initiative that helps selected individuals and teams leverage neurotechnology to generate meaningful competitive advantages. Her ultimate goal with the Human 2.0 project is to create a vibrant, widespread neurotechnology industry that allows humanity to upgrade the human brain and, thereby, the human condition. Before joining the Platypus Institute, Dr. Kruse served as the Vice President and Chief Technology Officer of Cubic Global Defense, where she oversaw the company’s research and development (R&D) programs. Her efforts at Cubic dramatically accelerated and enhanced the company’s R&D capabilities, which in turn yielded an expanded product portfolio and increased sales. Prior to her work at Cubic, Dr. Kruse served as a government civilian program manager at the Defense Advanced Research Projects Agency (DARPA), where she created and oversaw the Agency’s first performance-oriented neuroscience program. 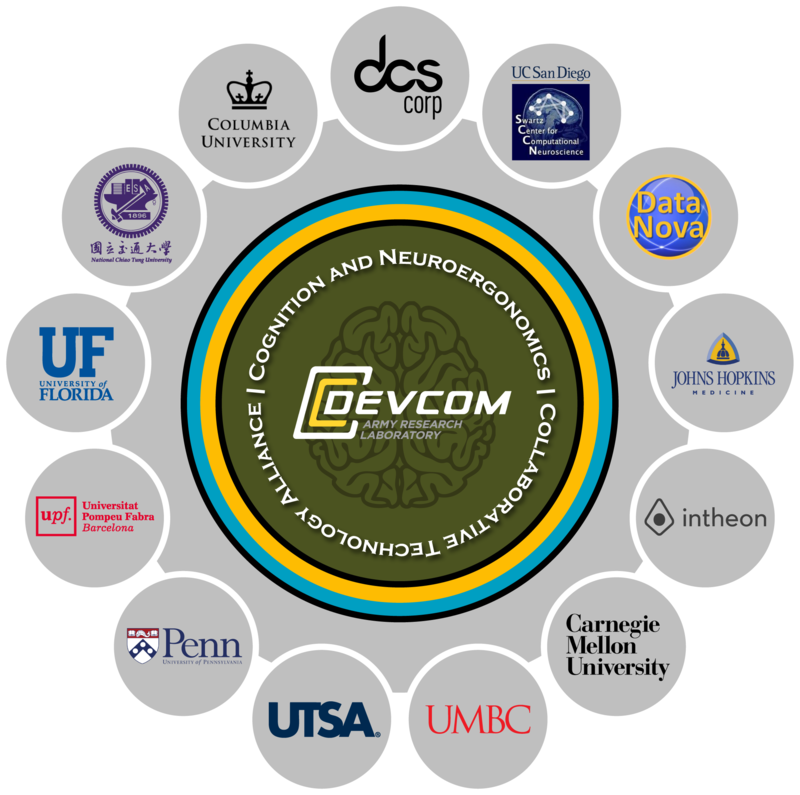 Her efforts at DARPA generated scientific breakthroughs in areas including augmented cognition, accelerated learning, cognitive enhancement, team neurodynamics, and brain stimulation, and they resulted in the creation of multiple programs that measurably enhanced both individual and team performance in several branches of the US military. Amy is Founding Member of the Loomis Innovation Council at the Stimson Center in Washington DC, a member of the DARPA ISAT Study group and a Guest Lecturer for Singularity University. She is a frequent contributor to several defense panels and advisory boards for organizations including DARPA, the National Academies and the Defense Science Board. She is also the author of numerous scientific papers, chapters, and articles. In the context of exciting advancements in “real-world” neuroscience – or “operational neuroscience” – this talk will share a brief and at times humorous history of “neuroscience in the wild”. We will review and discuss lessons learned from previous work, prior investments and how those might influence current research projects and agendas. The talk will be anchored in a tangible motivation for taking neuroscience out of the lab – with an eye towards human performance improvement and augmentation. We will then introduce the concept of Human 2.0, assess where we are on that curve of improvement and discuss some of the nearer term implementations of an “upgrade” to human abilities. This talk will spark ideas, energize the attendees and set the stage for the further goals of the rest of the workshop. Talk will be apprximiately 45 minutes with 15 minutes for Q&A. Grab a marker and share your wild & crazy ideas about Human 2.0 concepts that you would LOVE to become reality. Be unconstrained by what is possible - the wilder the better! We first set the stage for neurotechnology as the integration of our understanding of human cognition and physiology with the rapid advancements in artificial intelligence and adaptive technologies. We ground our technical approach in the concept of human state, provide an example of our ongoing science in the “Human Interest Detector” neurotechnology that has some connection to SciFi scenarios, and end with a brief characterization about how SciFi can inspire our conversations at the workshop about the path to realize innovative neurotech in the decades to come. Q1: How good does a “decoder” need to be to make your system have value/utility? Q2a: How far can one go with current recording/measurement technology? With current models to decode neural activity? Q2b: What would be the cognitive state or states you would want a machine to be able to read out from your mind? How would the machine benefit by knowing these states? Q3: Think about the states you will be able to measure. What are the implications of a machine misinterpreting these states? Each breakout group has 10 minutes to summarize key answers to the three questions. We will build on the topical themes from the earlier break outs and discuss how future technologies will change the way we interact with the world.